Seven teams have made permanent or temporary moves during the modern era, with Fulham, like Spurs, making two moves after temporarily playing at Loftus Road while Craven Cottage was developed between 2002 and 2004. So how did those teams fare? The graphic below reveals only two teams have actually improved home results in their first season at a new stadium: Derby in 1997/98 and Fulham in 2002/03 - but six of the previous eight cases actually declined on home turf. 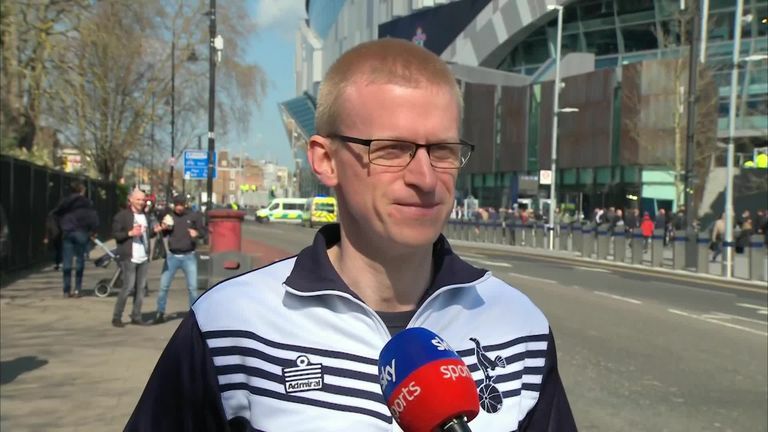 In fact, Spurs suffered the biggest slump on record after the Wembley move - recording 10 fewer points at the national stadium compared with the previous season at White Hart Lane. 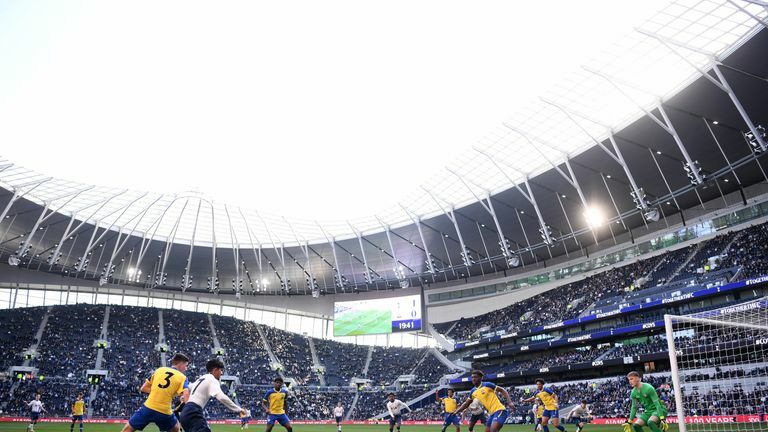 Tottenham's U18 team are the first players to grace the new stadium as Sky Sports News witnesses its grand opening to some very emotional fans. West Ham and Southampton suffered the next biggest slumps with nine-point drops, after the Hammers moved from Upton Park to the London Stadium for the start of 2016/17 and the Saints traded the Dell for St Mary's in 2001/02. So do teams grow into their new home during a first season? The graphic below shows the average points taken by all eight teams during a season and reveals a gradual upturn in results on home soil, with a seasonal slump in the second home game at a new stadium and peaking in the 19th. Spurs will be hoping to buck the trend when they break their ground against Palace on Wednesday after a run of torrid form has seen them slip into fourth behind Arsenal - with Manchester City visiting in the Champions League next week. Sky Sports will have coverage of the whole day of build-up to the historic opening - with Sky Sports News reporting live from the Tottenham Hotspur Stadium from 7am, while you can keep up with everything happening ahead of the game via our digital platforms throughout the afternoon. Dele Alli was at Tottenham’s new stadium launching their new official app which has way finding technology to enable fans to find their way around their new home. The app is available to download today. Tune into Sky Sports Premier League and Main Event from 7pm on Wednesday as Laura Woods and a host of guests will be pitchside for the opening ceremony.